Purchasing watches has become an extremely easy process these days. There is no need to visit a physical store and search one by one to get the best one you like. Consumers are comfortable with shopping online, which makes online retail one of the hottest markets today. Shopify is awesome. It is easy to use, super powerful and you can do just about anything with it. If you have been thinking about starting an online store or if you already use Shopify and want to refresh your store’s design, here are 8 Best Online Watch Store Shopify Themes that you can download to build a range of online stores and businesses. Watchin – eCommerce Shopify Theme is a responsive watch store Shopify theme. This multipurpose Shopify theme is perfect for brand or non-brand watch store. This stylish eCommerce website theme is built with Shopify Builder. Therefore, SEO-optimized and cross-browser compatible theme Watchin – eCommerce Shopify Theme is the best fit for the watch & smart watch stores. The smaller the product you sell is – the bigger space you have to leave between photos to highlight the beauty and elegance of the object. 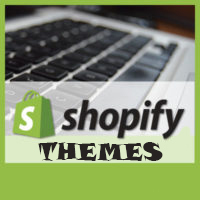 Clocks and jewelry stores need to be especially spacey, so Time Shopify template will be an ideal choice. Its design is minimalist and really laconic – black & white colur scheme and vast empty space, that make the visitor feel himself in an expensive shop. This template is an ideal tool for the website owner too. It has lots of useful functionalities that make sellers life much easier. For example, there is a multicurrency module, that could help you to increase your reach to the abroad customers. This Watches Online Store Shopify Theme is ready-made website template, designed to create powerful and impressive Internet resources. The wide possibilities of comprehensive adjustment will allow to tweak every visual element and to integrate the necessary functionality. Complete website can be filled with video content, quality sliders, and with all sorts of effects. This online store website, that operates on the basis of the well-known known Shopify CMS, loads quickly and works smoothly. The content is correctly displayed on devices of any type. Watches Online Store Shopify Theme is a stylish theme enhanced by powerful functionality. Ideal for an online shop website. This classical design was created for a watch company. The author has chosen a proper style for a Watch Shop Shopify Theme , as watch is not simply an accessory, but a thing that identifies its owners’ status. So, the company image, selling such stuff, should be time-tested and reliable. Famous watch brand logos help to create a solid company presentation. Slider features the most luxury and expensive watches. Featured products are also showcased in a slider. Ghost buttons perfectly fit the layout. Latest blog posts and Google map are also available on the home page. Watches add a special touch to our style. For that reason, these accessories are chosen with due diligence, and if you are their retailer, you will need to put strenuous efforts to advertize your merchandize. With this template, it will be much easier to do. As white is the color of perfection and green symbolizes novelty, your offerings will have a cutting edge look against the background of this theme. Such an impression will make customers more inclined to order an item on your site. Another thing to benefit from is a well organized content structure. As soon as people enter your store, they will come across a slider where watches are shown in close up. Further down the page, products are combined in groups to facilitate search. All the aforementioned points make this template a perfect option for online presence of your store. If you want to present your luxury watches or watches company in the most effective way, check this responsive digital watches Shopify web template. website of lingerie company, lingerie store or lingerie journal must deliver a reliable and inviting tone for its web users. Combined with an elegant appearance, the template boasts helpful though user-friendly functions. kids watches Shopify web design is fully responsive, so that you don’t have to build a separate mobile version of your web page to make it properly viewable on smartphones. Neat, valid code and rich guidance will help you in editing this women watches Shopify theme the way you desire. If you are going to broaden the target audience of your project, this template will turn out to be especially helpful!